Safety Belts are also popularly known as safety harness. These safety belts or safety harness are available for half body or full body, with single or double lanyards with standard lenght of 3 mtr. with snap hook along with safety belt. 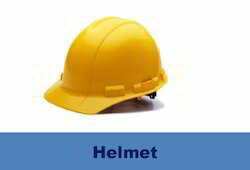 We offer the premium range of Safety Helmets that are ideal to be used in various industries such as fire fighting, miming and refineries. 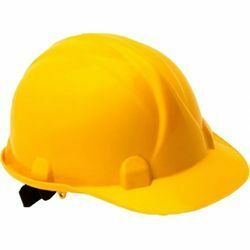 As they are made using high quality raw material, they are highly durable.